will be better placed to make a positive contribution to social justice if it becomes more sensitive to the commonly-accepted moral boundaries that underpin adherence to the 'rule of law'. advantages of punishment are reflected in penal ideology and sentencing policy. public disorder; and sentencing for financial crime. 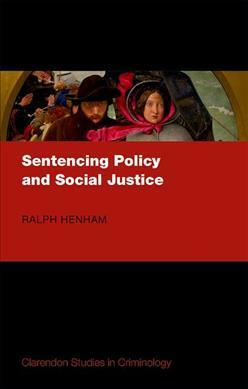 Ralph Henham, Emeritus Professor of Criminal Justice at Nottingham Law School, Nottingham Trent University.